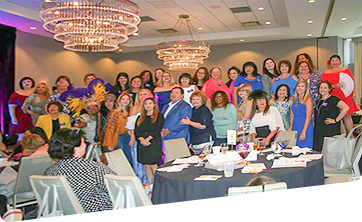 Mid South Women In Tourism, (MSWIT) was founded in New Orleans, Louisiana, in 1976. 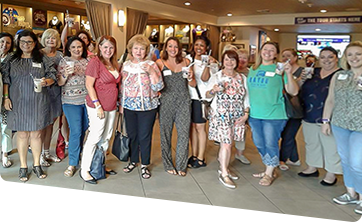 Our primary objectives are to network locally, nationally, and internationally with contacts that will contribute to our professional and personal growth, and to encourage and assist women to improve their knowledge and experience through educational programs. Membership is made up of women throughout the travel and tourism industries. 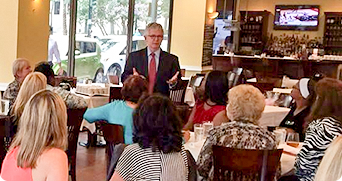 Dinner meetings held on the fourth Tuesday of every month include educational presentations, and provide a forum for the exchange of ideas, and establish an opportunity to network with our peers. Check out photos and videos from our February event at Mardi Gras Museum! MSWIT provides the educational and networking opportunities which can enhance and contribute to your growth in the tourism industry, help you develop managerial and leadership techniques, and stimulate greater professionalism on your part in all phases of employment. Membership is open to professional women involved in the selling or promotion of tourism and kindred fields.